One of the things I've been doing since not long after the introduction of the DVD has been building a database in Microsoft Access of details relating to discs. I've added additional fields over the years to allow for bits and pieces of additional data in which I've become interested. That includes HD DVDs and Blu-ray discs. I would be happy to make this data available on line for the 1,200+ DVDs, 100+ Blu-ray discs and 70+ HD DVDs I have indexed, but I'm not prepared to put the time into learning how to make an online searchable database. If any readers can do this, I'd be prepared to provide the data and host the database. Remember, the Access database uses its relational features, although often in a half-arsed unprofessional way (I did it myself). I went to Sydney today for Philips' new product launch. Of most interest to me were the new ranges of LCD TVs which will be rolled out over the next couple of months. There are three ranges -- 'good, better, best' said the product manager -- with the top of the range being the 9000 series. They had a demo set up with five 42-ish inch TVs in a row in order to demonstrate smooth motion. They fed a 1080p24 signal to all five via HDMI and a splitter box. One of the TVs was the new 42PFL9703D ($3,299, available next month) and one was last year's model. Two were other brand LCD TVs, and one was an other brand plasma. The purpose was to illustrate how good Philips' motion smoothing technology is. Back around 2000 Philips introduced what it called 'Digital Natural Motion'. 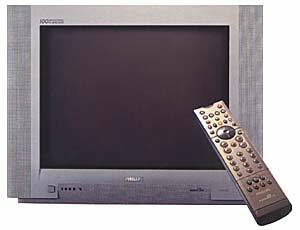 Here's what I wrote about it in my 2000 review of the Philips 29PT9418 4:3 Flat Screen TV. Note that 29 inch CRT TV then sold for $2,799, so after inflation this new true high definition 42 incher is about the same price. ... what it is that makes A Bug's Life so different. If you have this DVD, I'd suggest you stop reading right now and go to your TV. Choose the full screen side of the DVD and start the movie. Right near the start there is a medium speed 'camera' pan up over some mud flats to the island upon which the starring ants reside. You will notice that the cracks in the mud seem to judder down your screen, jumping by discrete intervals with each frame of the movie. Sorry, but after the Philips demo of this, I've not been able to avoid seeing this myself, an effect of which I had previously been blissfully unaware being so used to it. The judder is not due to the PAL picture or TV representation, but to our own sense of perception being sensitive to a range of movement speeds that interfere with the 24 or 25 frames per second of film or PAL TV. What I would like is for you to be able to watch this scene with the Philips TV under review. This has an option under its 'Picture' menu called 'Natural Motion'. Select this and watch the same scene. The motion is silkily smooth. No judder at all. Quite incredible. First, some background. A TV makes moving pictures by showing in succession 25 pictures (frames) per second. Each of these is made up of two pictures, interleaved line by line, so 50 separate pictures (called fields) are shown per second. This is your standard TV. 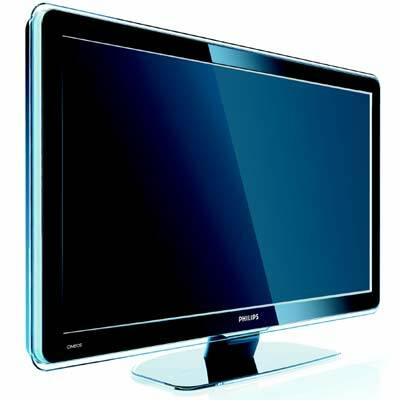 An increasing number of high-end TVs are 100 hertz units. To reduce irritating screen flicker, these play each frame twice, so you end up with 100 pictures per second. Now good old 50 hertz TVs had wonderfully fuzzy screens. Most nice new 100 hertz TVs have wonderfully crisp displays, as does this Philips TV. But the sharp focus means that the judder, previously concealed by screen fuzziness, is revealed. Philips new technology, 'Digital Natural Motion', instead of repeating each frame twice as in a standard 100 hertz set, calculates each intermediate frame as a new one, based on the preceding and the following ones. This makes A Bug's Life smooth. It works sideways as well, with one of the distant shots of the bikers in Easy Rider equally dropping all the judder (have a look around 19:12 into the movie). This change is not subtle. But other effects are. First, a negative one. The processing seems to become a little confused when a sharply defined tan or black object moves across a diffuse green background, such as a person moving in front of foilage. This produces a subtle swirl around the edges of the foreground object, as though the air immediately around it is being heated, causing a lensing effect. An example of this is also in Easy Rider (see Dennis Hopper's coat at 31:17). This appears only very occasionally, and is subtle. Another subtle effect, but a more significant one in the longer term, has ultimately left me ambivalent about this processing. In short it improves the clarity of the film, making the visual representation ever so smooth. At some points it is breathtaking. In Easy Rider closeup shots of the characters taken in outdoor settings look, well, too clean, as though taken in the studio. Why should this be? Well, consider the processing. Every second displayed frame is an average of the one before it and the one after it. Each real frame is a copy of the film frame. Each of these has film grain (especially on the 16mm film used for this movie), randomly distributed so the grain is different in each shot. The averaging of the intermediate frames removes the grain, so half the time the picture you're watching is film-grain free. A welcome side effect is that DVDs telecined from poor quality prints, such as Blade Runner, lose a great many of the scratches and dust marring the film. So why am I ambivalent? It isn't the heat-haze effect. It's the super clarity. Somehow it just seems too good. Later I found a scene on a DVD that tended break up under Digital Natural Motion. Most of these circuits no longer break up on that DVD scene. But the similar circuits recently introduced by Sony and Samsung in their TVs (and it's high-end projector by Sony) still produce the heat haze effect. All still make the picture seem artifically glossy due to that averaging. Meanwhile, Philips has been progressively upgrading its circuit. In its earliest incarnation it worked with 576i signals, and that's all. It has improved the processing and enhanced its capability to work with higher quality signals. Philips has named its most recent version of this circuit 'Perfect Natural Motion'. It is available in the new 9000 series TVs, but not the lesser models. Philips offers this meaningless statement: 'The Perfect Natural Motion technology offers 500 million pixels of processing power.' Um, 500 million pixels per second, per year, per millenia? And what does it do to those pixels? Anyway, it's results that are important. So, as I said, Philips showed a few 1080p24 clips. Several had fast camera pans which overloaded the processing circuits on all the other TVs, causing picture breakup or masses of judder as the processing fell behind, caught up, fell behind again, and so on. The new Philips one had none of this. None at all. The picture retained its clarity and detail as it panned rapidly down or to the side of the screen. The cost for this was that the picture was noticably delayed compared to the other TVs, perhaps by a frame or two. You should not have this mode switched on when you're playing video games! You know something? I think this projector may convert me to this processing! Okay, I'm still uncomfortable with the picture being processed in way that would not happen in the cinema. But the artefacts were rare, and the 'sheen' was minimal. The reason for this last is that with a large screen, the fine details are more visible anyway. With a large display, as produced by a front projector, problems with picture judder are especially irritating, as are most other picture quality problems. I use a segment of the movie 'The Fugitive' on Blu-ray to help me assess a display's ability to cope with 1080p24 signals. If you skip to precisely 50 minutes into this movie, the scene you land on will swiftly segue into an overhead shot of city, straight down towards the ground, with the camera panning over the building tops. If the display does not handle 1080p24 properly, then this will appear jerky as the building tops move from top to bottom of the screen. This projector does not appear jerky, so it handles 1080p24 fine, thank you very much. Nonetheless, it is hard to see much detail because the picture still judders. You can see it move -- kerchunk, kerchunk, kerchunk -- from frame to frame because it is so sharply focused. With this projector, when I switched 'Motion Enhancer' to 'High' ('Low' works with DVD resolution material, but complex material at 1080p resolution seemed to require 'High'), the buildings were suddenly moving smoothly down the screen. By moving smoothly, the projector made it possible to see, during the few seconds of their passage, all the detail which had previously been obscured by that judder. As my eldest daughter remarked when I demonstrated the effect to her, it was as though the image had been switched to high definition. In that scene, there was a little distortion on some fine picture detail, presumably because of ambiguity in matching the details between frames to create new frames. Still, this process reveals far more than it conceals. That was similar to what the 'Perfect Natural Motion' processing did on the Philips TV I was watching today. I should be reviewing one within a few weeks. I cannot be entirely confident of performance until I can use my own test material. But this TV is looking very promising indeed. Now, all they need to do is work out a way to reinsert film grain and other irregularities to avoid the unnatural glossiness of the processed result. I've just received a press release from Paramount Pictures Australia announcing the release on 7 August 2008 of remastered and restored versions of The Godfather, The Godfather: Part II, and The Godfather: Part III DVDs. They will be available individually, and also in a five disc package with two discs of special extras. The restoration was a painstaking affair. I highly recommend the article on this from the Magazine of the American Society of Cinematographers. Apparently the first two movies were in a pretty bad way. There are 'before and after' shots there to compare. No word on Blu-ray yet, but seeing as how the restoration was performed digitally in the 4K format (ie. 4,096 pixels wide, and as many pixels vertically as required to preserve the aspect ratio), surely this can't be far off. UPDATE (Monday, 30 June 2008, 9:35 pm): My supposition was correct. I've just been advised that The Godfather will be available in Australia on Blu-ray on 30 October 2008. I am assuming that Parts II and III will be released at the same time, and maybe also the box set (presumably the extras will be DVDs, like the brilliant five disc Blade Runner box set from Warner Bros. I'll advise when all this is confirmed. ... until 1 July. Sony will, from that date, be giving away a free Sony Playstation 3 console with each full HD Bravia TV sold. 35,000 of them. There is no real fixed system for obtaining gear for review. It's all over the place, with different companies and relationships. Do I get to keep the stuff I review? Unfortunately, no. Otherwise I would be a very wealthy man. So it all has to go back. There is a great deal of trust involved in the system. I ring up my contact in some company or other. We chat. I say I want to review product X for such and such publication. They courier it to me. A couple of weeks later I give them another ring and they arrange for a courier to come and pick it up. But increasingly, of late, trust has begun to be replaced with paperwork. In the last two days I have sought review products from two companies I have been dealing with for years. Neither has previously had any 'loan agreement'. It has been a pretty good arrangement. But in these last two days both have required one. Most of the items in a loan agreement aren't a problem, and are understood anyway. They still own the product. If it gets stolen, smashed, etc, while it's here, it's my responsibility. I have to give it back when they want it. But some things just won't work with what I'm doing. With one of those agreements, I had to exclude two of its items. You will at all times operate the product in accordance with operational instructions provided with the product and/or specifically recommended by [The Company]. But this is not appropriate for a review. I may find it necessary, in conducting the review, to do unusual things. Run it excessively loud with broadband pink noise. Take to it with a screwdriver to find out something or other (I almost never do this!) The purpose of the review is to describe the product to my readers. However, I should note that I don't think I have ever actually damaged any of the equipment I've tested, beyond normal wear and tear, during the two thousand plus reviews I've done. In fact, on several occasions I've performed minor repairs (a crossover in a high-end pair of loudspeakers come to mind -- with the company's permission, I resoldered the wiring since the thing had come adrift during transport so the loudspeakers wouldn't work). If there are difficulties or problems with the Product please contact [The Company] on the details of this letter and we will endeavour to solve the problem as quickly as possible. There are two kinds of difficulties or problems I encounter with the products I review. Some are clearly such things as the product being damaged or otherwise operating incorrectly. Of course I contact the company about those problems. I had one of those just a fortnight ago: a home entertainment system with an add-on module for wireless rear speakers. The transmitter and receiver in the add-on didn't match. I called the company. We nailed down the issue. They sent a matching transmitter and receiver by overnight courier. The next day I continued doing the review. The other kind are areas of inadequate performance or difficulties in operation due to what I judge to be design flaws. These are the kinds of things that are supposed to be brought out in the review, and should generally not be disclosed to the product supplier prior to publication (since there is the potential for some unscrupulous suppliers to attempt legal action to prevent publication). Having said that, if I judge that a design or performance flaw may be able to be fairly easily corrected, then I often do contact the supplier. I am working on a review right now, and am shortly publishing another review, where there were problems correctable with firmware upgrades. Still, what I'm saying is that this has to be my choice. I suspect that I'm going to have to come up with my own 'Loan Agreement', because I'm spending too much time writing lengthy emails explaining why I exclude certain parts of their agreements. I have huge respect for the brand Denon. Its range encompasses decent, reasonably priced stuff (nothing really mass market) through to some seriously high end gear. But I do have to wonder how it can bring itself to market a 1.5 metre Ethernet cable for over $US500. You know, I was originally just going to pile on as well and join in the fun, and I will in a moment (after all, I've been dumping on silly cable theories for a long time). But first, on reflection, I'd like to offer a rather weak defence of Denon. This cable's purpose is not for actual Ethernet connectivity (even though recent Denon home theatre receivers do in fact have Ethernet ports). Its actual purpose is for the 'Denon Link' feature available on some of the better Denon gear. Denon Link allowed the digital delivery of high resolution multichannel audio signals (up to 5.1 channels at 96kHz, 24 bits) from DVD Audio and SACD discs, using Denon's players. This was a proprietary solution to a problem created by the original designers of DVD Audio and SACD. As first released, both of these were limited to multichannel analogue outputs, forcing the signal in many cases to go through an unnecessary D/A, A/D cycle. So Denon Link was a very useful feature. These days you achieve the same effect using a HDMI connection, if your player supports SACD and DVD Audio (I use Oppo Digital DVD players, which do). I suppose Denon used RJ45 connections and Ethernet cable for this proprietary link because it was available. Had they chosen proprietary plugs of some kind instead, then this issue would never have arisen. Ethernet is, of course, a packet-based communications system. The transmitted information is broken up into packets which are sent down the wire, through the network or whatever. The delivery order doesn't matter. The odd lost packet only slightly impacts performance because the receiver notices that a packet is missing and requests a resend. I don't really know the intricate workings of Denon Link, but I'm fairly certain that it is a serial system. That is, the data has to be sent down (presumably with some error correction redundancy built in, but since it's proprietary, who knows -- perhaps the system was so poorly designed it has very little error correction built in, requiring a more robust link than usual). Okay, the volume of data (up to six channels at 24 bits and 96,000 hertz sampling means less than 14Mbps) should be no stress at all to a regular Ethernet cable over such a short run. So if this is regarded as a dedicated high-end audiophile digital cable, then it is merely commonly, rather than uniquely, stupid. It is commonly stupid in that high end 'audiophile' HDMI and DVI and optical digital audio and coaxial digital audio cables also exist. Even if you grant that ridiculously expensive audiophile cables do make a difference for analogue connections, it is exceedingly difficult to see the mechanism by which digital cables could improve things, at least over the short distances for which they are normally employed. Golly, what was going to be a short, light-hearted post turned into a respectable defence of Denon. Thank you Denon. I suffer from a rare R/F allergy which makes it nearly impossible for me to leave my lead lined sarcophagus (unless there is a power outage). Generally i can only listen to music on an accoustic gramaphone and hence my library consists entirely of John Phillips Suza. That all changed when i got the Denon AKDL1 dream maker. No random photons here! I've integrated the cable into a bucket i've lined with tinfoil and now my library has already expanded to include Count Basie and Sir-Mix-Alot. Life is once again worth living. I installed one of these cables between my gigabit ethernet switch and my Canon Pixma 6700 color printer. I know it's not a sanctioned use, but I was looking for the ultimate in speed and fidelity. I'm freaky that way. The first time I downloaded a picture to the printer over this cable, the bits moved so fast the printer collapsed into a naked singularity, right there in my office. Since then, I can't find the cat, and my entire set of VAX/VMS 4.7 documentation (DEC Will Rise Again!) (Mmmmm, orangey!) has gone missing.